Uno Card:5% + 3% Discount on Farlin, Nine Maternity Wear, Biotique Herbal Products only. A new baby into your life, a completely new experience, plethora of queries and concerns!! 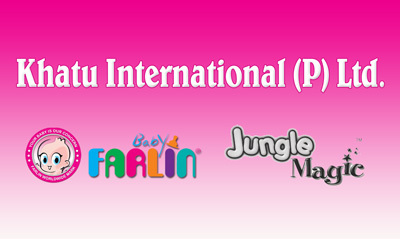 Khatu International (P) Ltd is here to help you with trusted baby care products and essentials. Ever since it’s inception in 1975, Khatu International (P) Ltd has been growing by leaps and bounds with a motto of giving every baby a healthy, safe and happy start in life.
" YOUR BABY IS OUR CONCERN "